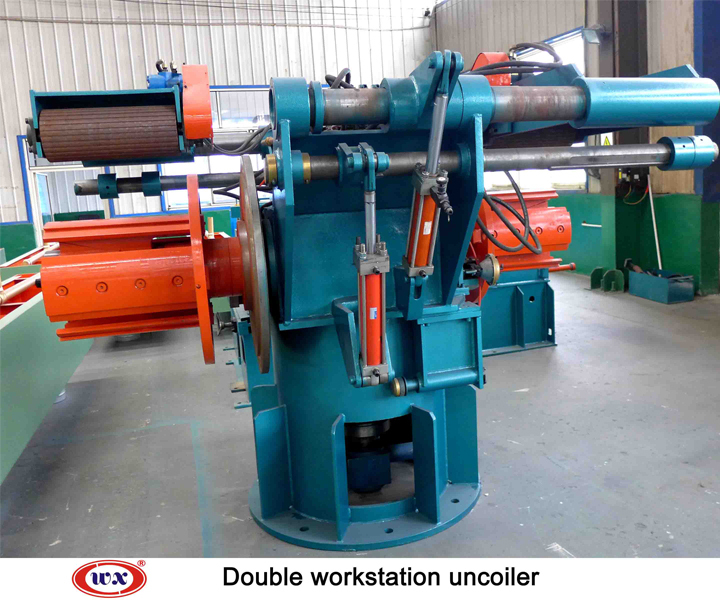 Uncoiler is the important equipment of preparation in welding pipe production line , mainly used for holding steel strip and unfolding coils, supplying raw material for the production line. 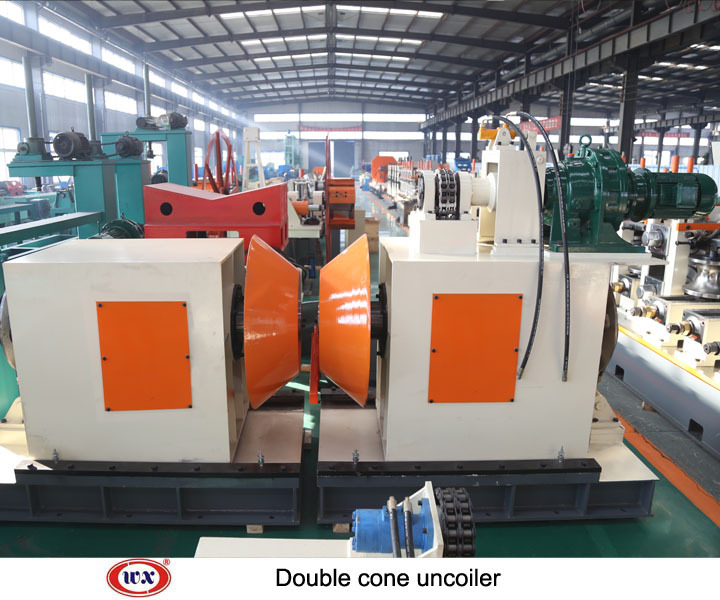 Uncoiler also need to be used in concert with coil loading car and end straightener in welded tube production, guiding the steel strip into the leveling machine to carry on flattening. 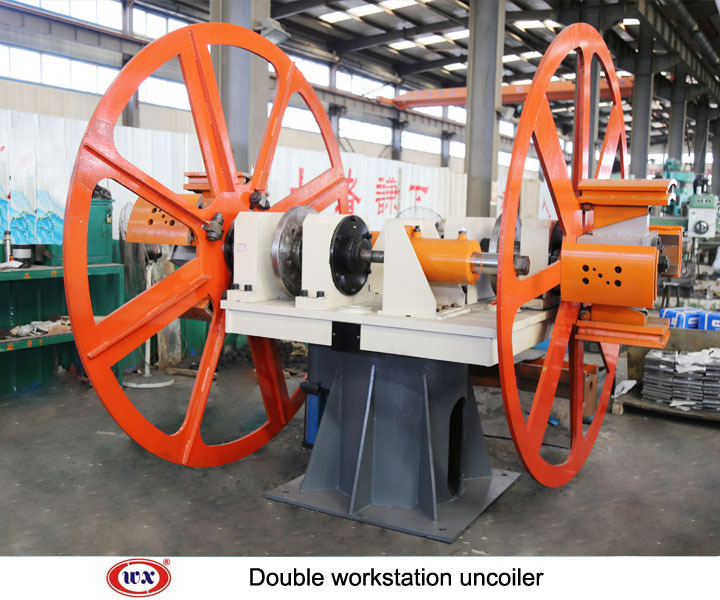 The uncoiler includes double mandrel type, uncuiler double workstation, and cage type. 1. 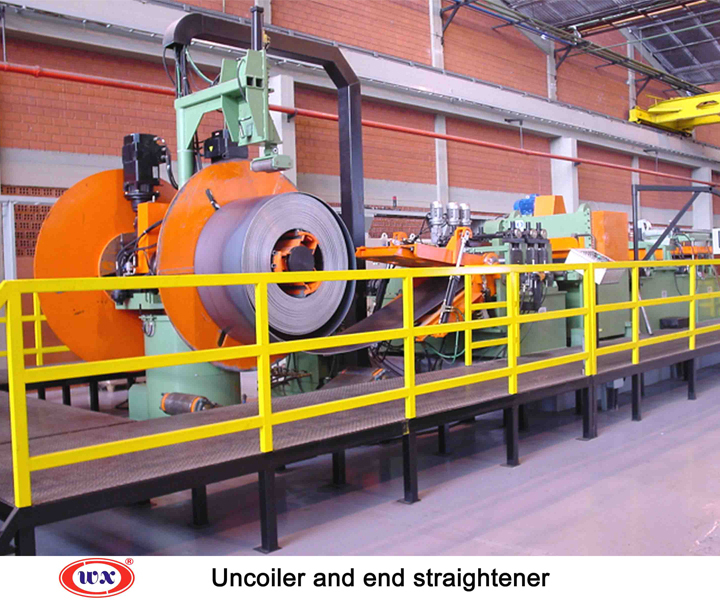 The rigid frame is a welded structure made of steel plates which have undergone annealing to remove internal stress and toughen the material. 2. 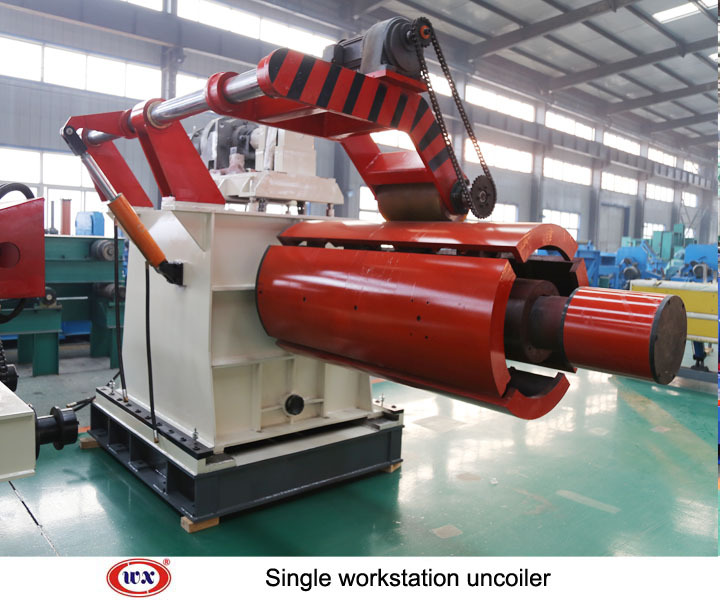 Built to high standards in the machinery industry, the uncoiler is made up of parts that are completely traceable to specific manufacturing process. 3. 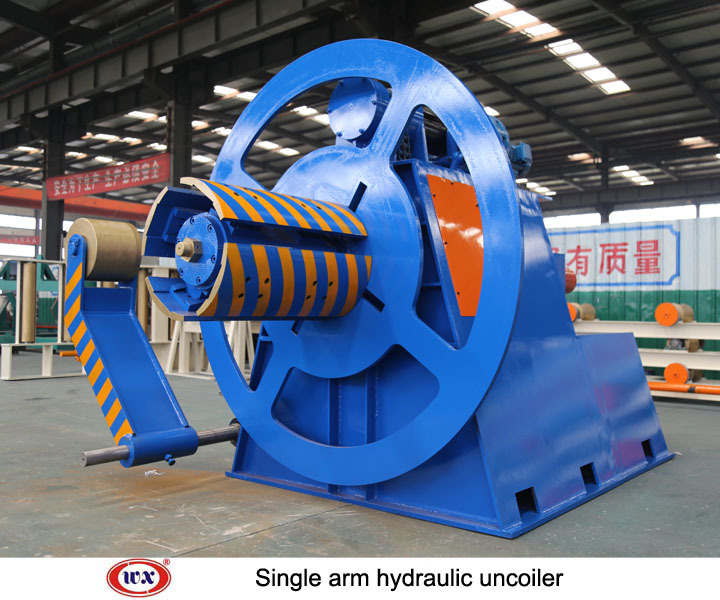 Heavy-duty bearing, coupled with advanced lubricating system, ensures the extended service life of the unwinder. 4. PLC controller features a touch-screen display, delivering a high level of automation. 5. 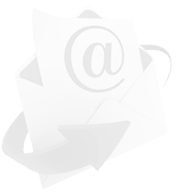 Electrical components are of international well-known brands. Mechanical parts are purchased from Chinese big-name manufacturers.